Sydney (pípè /ˈsɪdni/) je ilu titobijulo ni Ostrelia ati Oseania, bakanna o tun je oluilu ipinle New South Wales. Sydney ni iye eniyan to to 4.4 legbegberun ati ifesi re je 12,000 square kilometres (4,633 sq mi). ↑ "Regional Population Growth, Australia, 2007-08". Australian Bureau of Statistics. 2008. 2009-04-23. ↑ Australian Bureau of Statistics (17 March 2008). "Explore Your City Through the 2006 Census Social Atlas Series". Retrieved 2008-05-19. 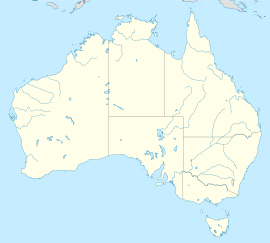 ↑ Note: Counties are seldom used in Australia except for some land valuation purposes. Most residents do not know that counties exist. ↑ Macquarie ABC Dictionary. The Macquarie Library Pty Ltd. 2003. p. 1000. ISBN 0 876429 37 2.